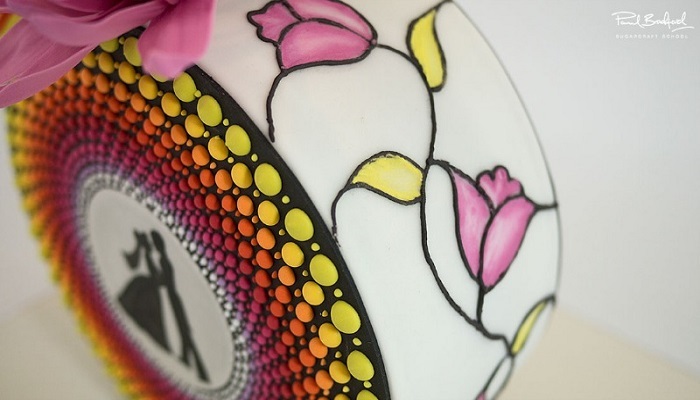 Ever wondered how to give your cakes a professional finish? Creating gourmet cakes at home is easier than you think. We’ve rounded up five of the best techniques for creating cakes that look like they’re straight out of an award-winning bakery. Whether you’re new to cake decorating, or a seasoned pro - our tips are perfect for giving you something new to challenge yourself with. So roll up those sleeves, and get stuck into five simple ways to give your cakes a gourmet edge. You know when you sit down for a meal in a fancy restaurant and your plate is decorated with creatively drizzled sauce? Think of the drip technique as an extension of that - but with cake. The trick to the drip technique is to get it to look casual, yet intentional. 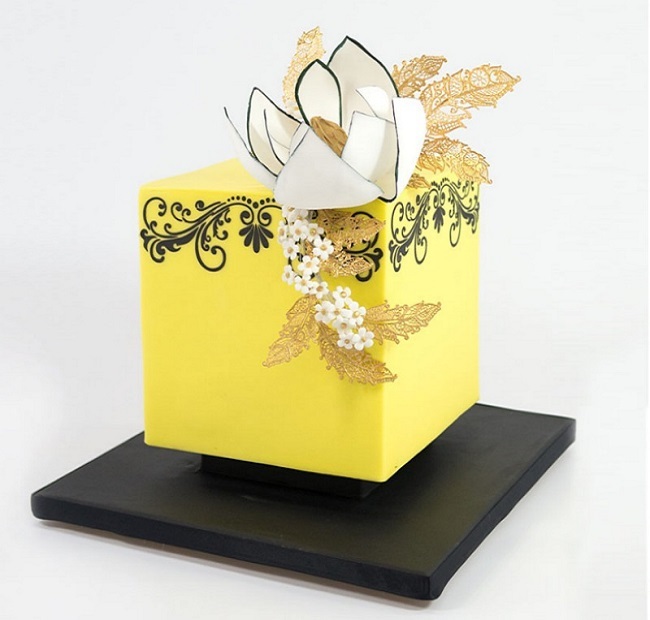 To create this technique, make a white chocolate ganache and add the colouring of your choice. You’ll want to keep the ganache at the right temperature so it’s runny, but not liquid. Giving it short, sharp blasts in the microwave as you decorate each section can help. Use the dripping technique to create interesting colour combinations, with both contrasting and complementary colours. 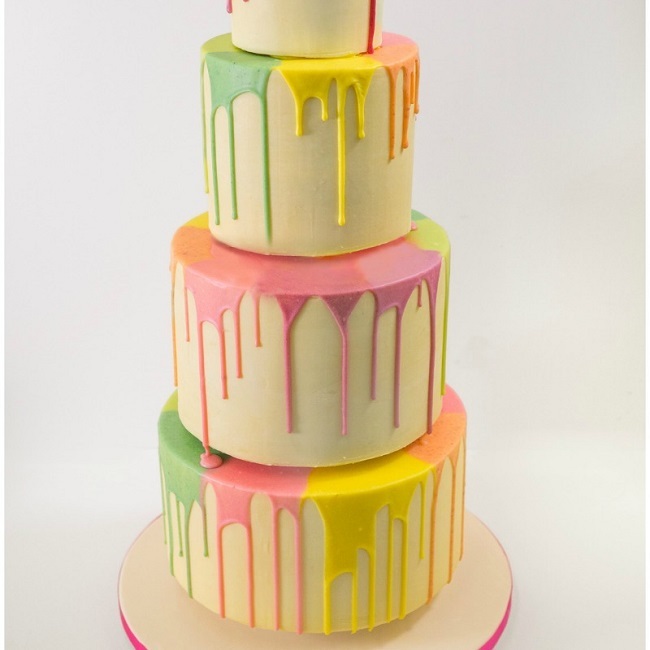 Chocolate drip cakes are immensely popular, although you could try out metallic drips of gold, silver or bronze by using cake dust in your ganache mixture. Black icing is big news this year, so give it a try. You can choose to either make the entire cake covered in black icing, or cover sections. Black and white cakes, with one additional accent colour - such as, pink, blue or gold - work really well. Or go all black, with bright, multi-coloured detail. You don’t have to be a cake decorating expert to create a realistic flower using molds, cutters and modelling paste. Cakes with foliage are very trendy for wedding cakes at the moment, and you can even look to your own garden for inspiration. Flowers can be as simple or as complicated as you dare! Studying a real flower is the best way to get an authentic looking result. A good tip is - the thinner you roll the modelling paste, the more realistic your flowers will look. Once you’ve created your flower, use some luster to give it a professional pearly sheen. Turn your homemade cake into a work of art. 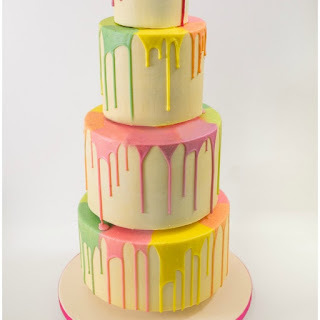 Edible painting is all the rage right now in the professional cake decorating world, and can add a beautiful edge to any cake. If you aren’t confident at painting freehand, then a great tip is to sketch out your design on tracing paper, then use a pencil to indent the icing so you’ll have a guide for the pattern you want to create. Move away from round cakes if you want to give your cakes a truly gourmet edge. While square cakes may look fancy, they are actually reasonably straightforward to make. First off, make sure you measure out the dimensions of your cake before cutting, to ensure you get it just right. 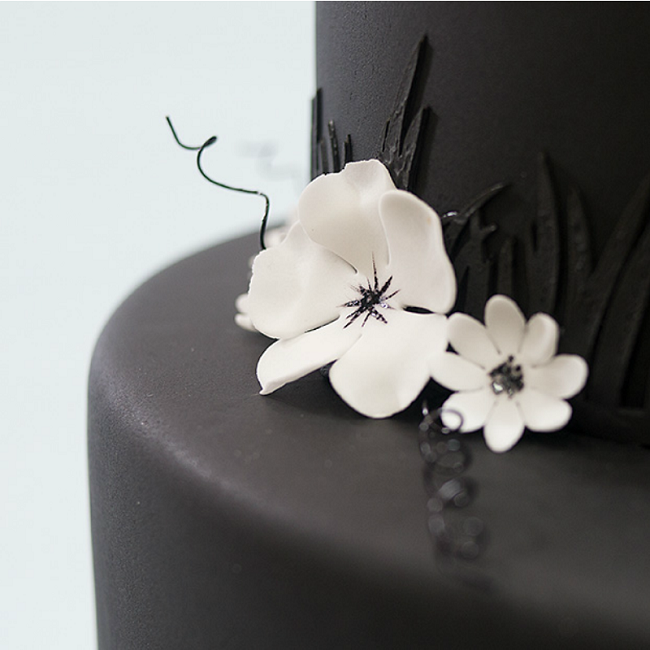 Then use a large metal scraper when you apply the ganache to get straight edges, and acetate smoothes over the icing to give every edge a straight ‘finished’ look. 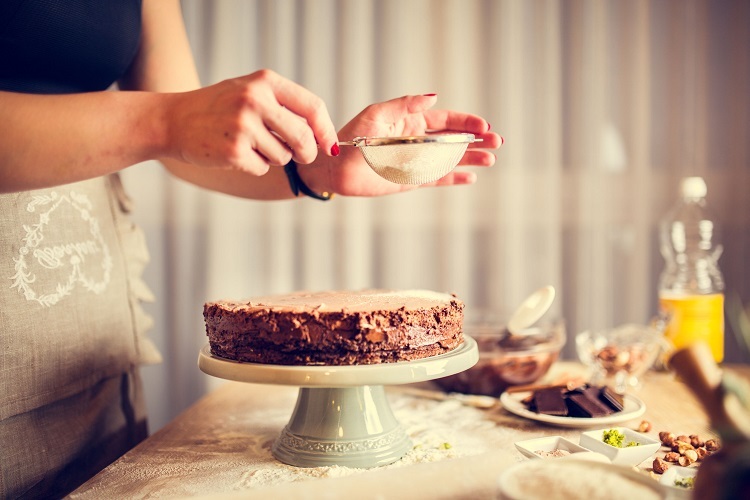 We hope you’ve got plenty of inspiration and ideas for adding a gourmet edge to your homemade cakes. You can find out how to master all these techniques and more with the online cake decorating tutorials available at Paul Bradford Sugarcraft School.